Thank you for visiting Garage Experts of West Houston. Local owners Paul and Stephanie Bennett reside in Katy, TX with their three children Alexis, Kaileigh, and Dylan. When you choose Garage Experts of West Houston, you are supporting a small business in your local community. By working directly with local owners such as Paul and Stephanie you can rest assured that your satisfaction with their products and installations is their number one concern. Their punctuality for appointments, work ethic, and quality of workmanship combined with their creativity sets them apart from the rest. Call today to schedule your FREE estimate. You will be provided with a custom 3D rendering of your new garage, complete with epoxy flooring, custom cabinetry, slat-wall system, and overhead storage. 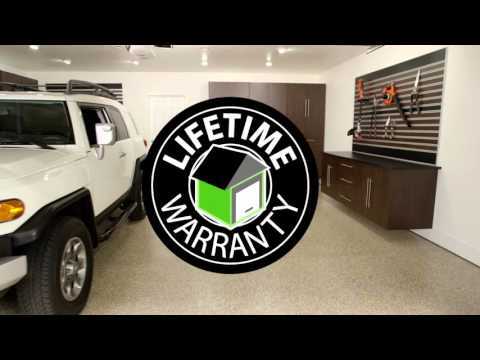 Garage Experts of West Houston will provide a quality, professional look and superior Made in the USA products you won’t find anywhere else, as well as an industry leading LIFETIME WARRANTY on all Garage FX flooring systems and custom cabinets. Garage Experts of West Houston is currently installing garage floor coatings and custom storage solutions in all parts of West Houston and the surrounding areas. Call today to learn more about how Garage Experts of West Houston can help make your dream of an ultimate garage makeover a reality! GarageExperts of West Houston is your local garage makeover expert. View some of our recent work.